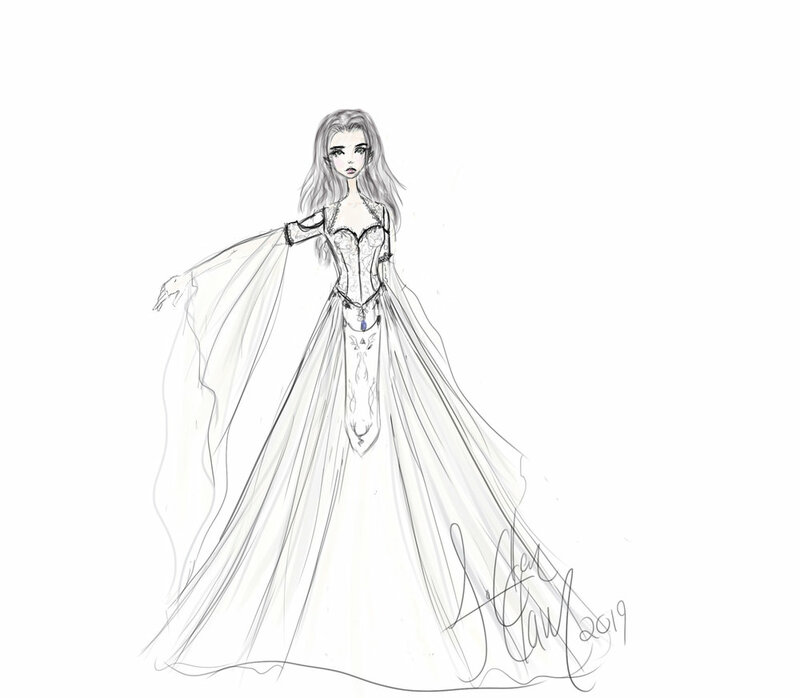 After reading many of your request for bridal gowns over the years I noticed there were themes that kept appearing! This year I decided to combine as many of those details into a new Firefly Path design we are offering in our Etsy Store! 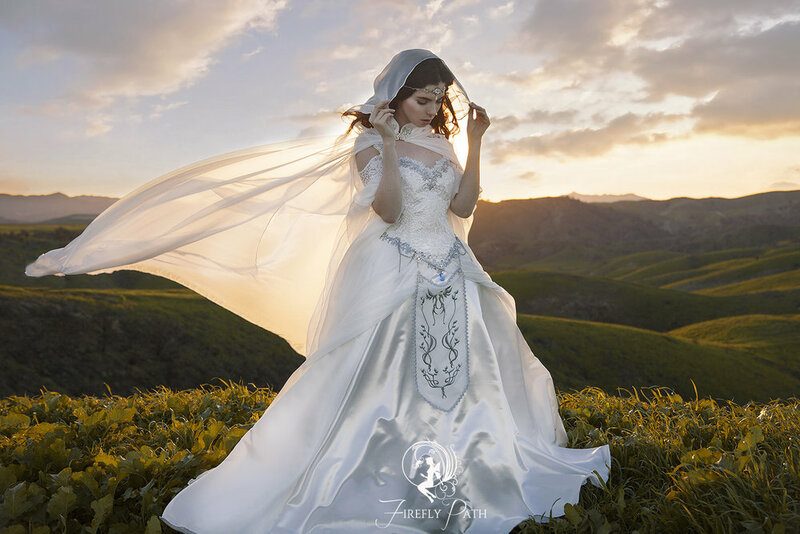 This gown is ideal for the bride who desires a timeless fantasy wedding! 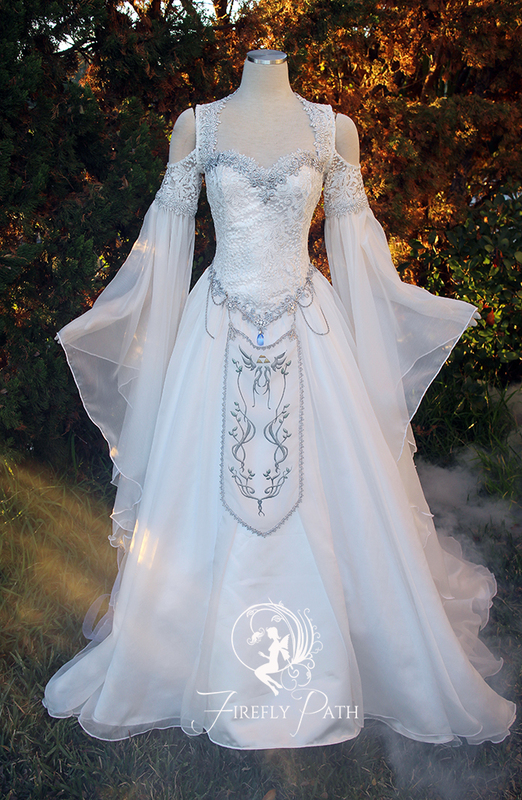 The gown is crafted in warm white tone fabrics. Peekaboo sleeves with long bell-shaped chiffon flow from above the elbow. 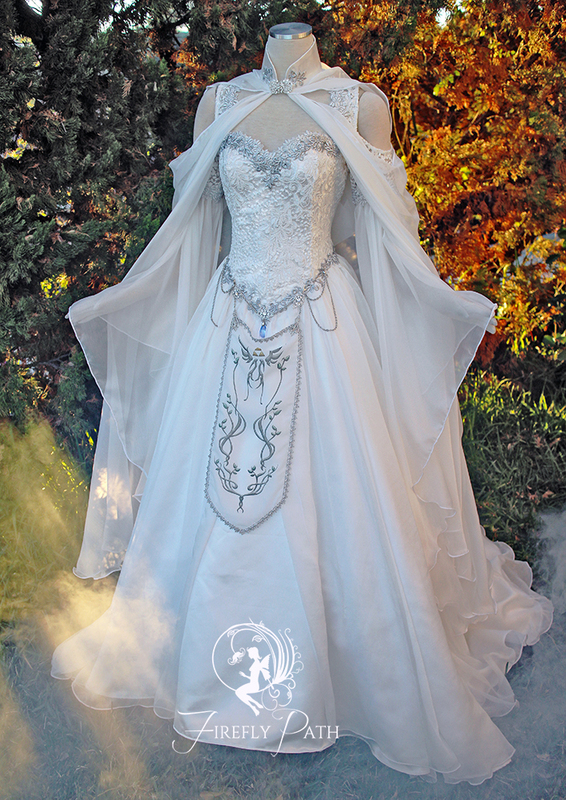 Unforgettable details include silver vine appliques along the chest and around the hips. 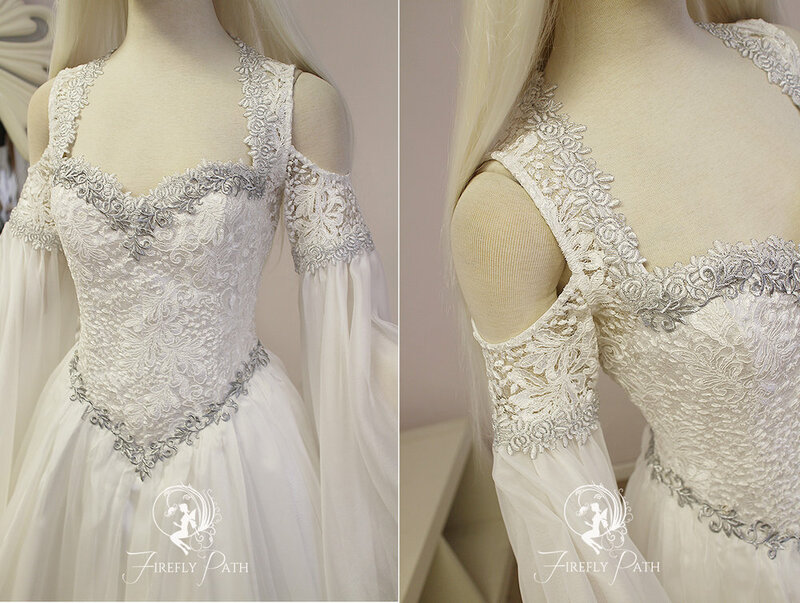 Rich sequin embroidered lace adorns the bodice. 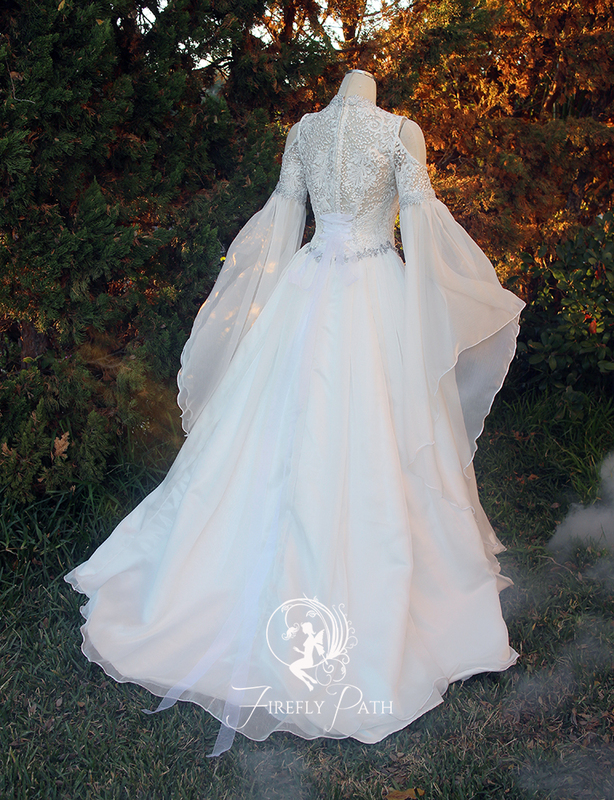 The airy chiffon overskirt parts in the front to reveal the wedding satin underneath. 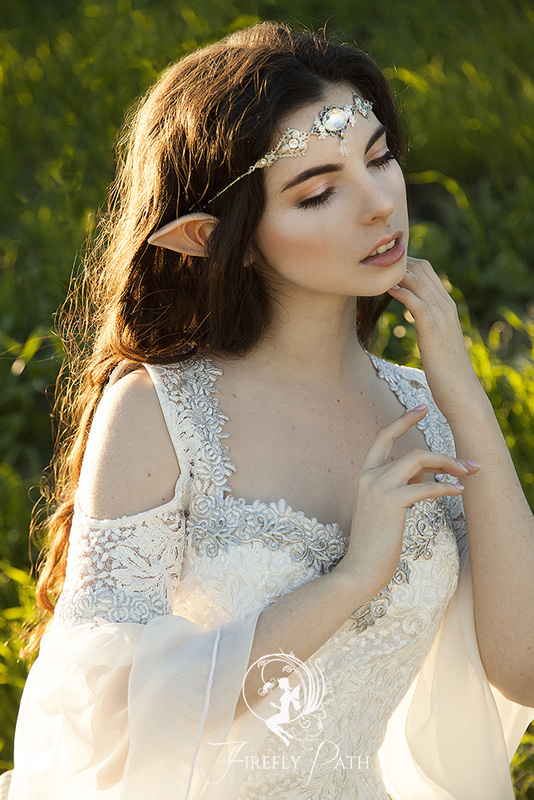 The Apron features delicate elven designs while maintaining her iconic symbols. The apron measures Length - 18.5in /Width - 8in. Printed on soft chiffon and edged with metallic trim. 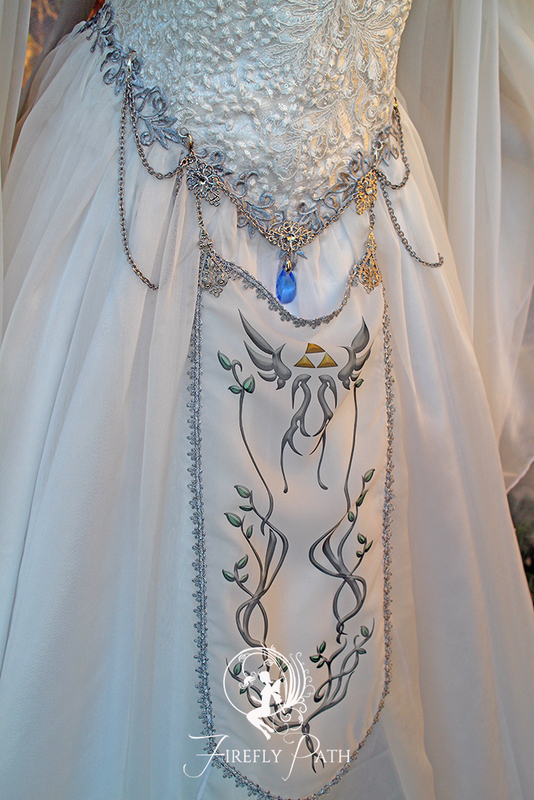 Filigree details are hand sewn to each apron.